Rockland Trust Company | Banks & Credit Unions - Burlington Area Chamber of Commerce ? 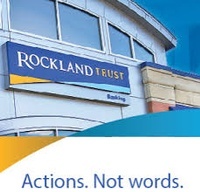 Rockland Trust offers a wide range of banking, investment, and insurance services to businesses and individuals through retail branches, commercial lending offices, investment management offices, and residential lending centers located in Eastern Massachusetts and Rhode Island, as well as through mobile banking, online banking, and telephone banking. Rockland Trust employs over 1,000 individuals and serves more than 200,000 business and individual customers, we focus on ''giving back'' to our communities through volunteerism and philanthropy.